A cable box on top of a television in Philadelphia. One analyst finds that economics is the key driver behind the growing phenomenon of "cord-nevers," people who never subscribed to cable or satellite TV. On Tuesday, we reported on a push by some advocacy groups to make it easier for people to own, instead of rent, the boxes connecting them to cable TV. The population of cable subscribers is large — and so is the totality of the fees they pay to rent those boxes, let alone to receive their cable service in the first place. NPR's Brian Naylor cited a study by two Democratic senators that estimates the cable industry reaps more than $19.5 billion a year from fees people pay to rent their cable boxes. Many people look for savings, for instance looking for deals on bundles of cable and Internet service. And for some, the price of a cable subscription trumps its value: In industry speak, they are called cord-cutters — people who used to, but no longer pay for a cable or satellite TV service. They make up a small proportion of Americans, 10 percent or less across various market surveys, but their ranks are increasing. And at the extreme end are the so-called "cord-nevers," folks who simply never paid for cable or satellite TV. What do we know about them? Part of that group, as expected, is the generation whose tech habits have been sliced and diced every which way: the millennials. Research from Forrester released this month forecasts that by 2025, half of the adults under the age of 32 will not pay for TV. But here's another group of cord-nevers: folks older than 50, who are used to free, over-the-air television and never veered beyond it. And ultimately, an SNL Kagan MRG study last year found that the bulk of cord-nevers were indeed 18-24 years old, but other age groups were represented rather evenly. The author of that SNL Kagan report, Keith Nissen, says it all comes down to economics. "Everybody wants to be entertained, and they're getting their entertainment from whatever sources they can afford," he tells All Tech. "The majority of cord-nevers either really don't have a strong interest in pay TV and that's why they're not willing to pay or they can't afford it." Nissen says the majority of cord-never households earned less than $50,000, roughly 70 percent in his latest count as of the end of March. A slight majority of them live alone and a vast majority don't have children. Netflix, Hulu Plus and Amazon Prime are commonly cited alternatives. The trend is so pervasive, The New York Times has built an interactive guide for options available for cord-cutters, and so did PCMag. But here's a thought. Forrester's prediction that the trend will keep escalating dramatically suggests that swaying cord-nevers to pay for cable will be an incredibly heavy lift for the industry. 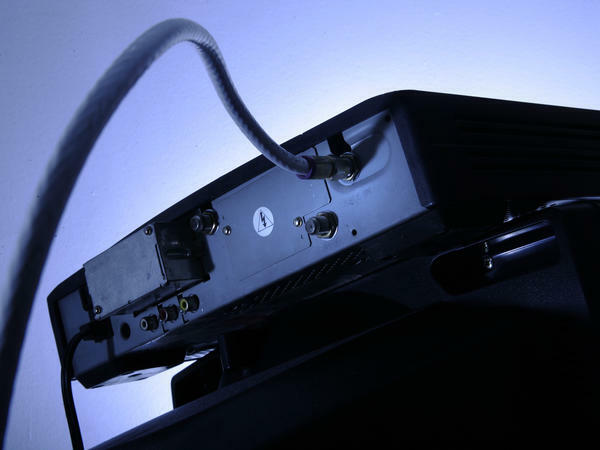 Nissen's study, too, says that the cord-cutters will be hard to win back. But does the logic of economics mean that some of the millennials will eventually start making more money and decide to rent those cable boxes after all?